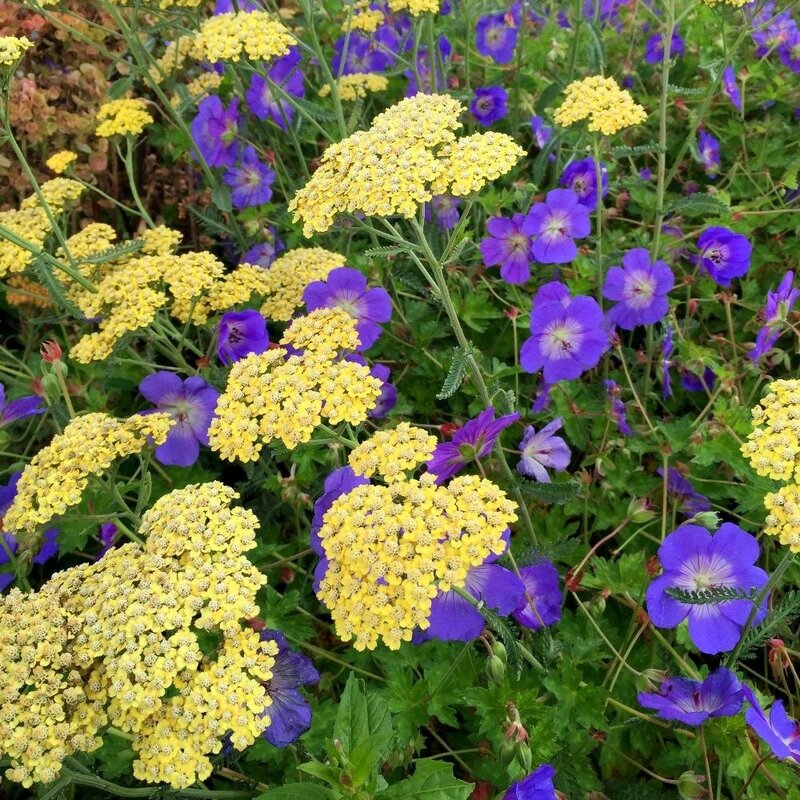 Large (up to 5cm across), saucer-shaped, violet-blue flowers with white centres appear throughout the summer above the mounds of slightly-marbled, deep green foliage. Perfect for underplanting roses, or filling a few gaps in the front of a border, it copes well in full sun or partial shade. Planted in semi-shade, average soil. Careful watering. Happy plants! 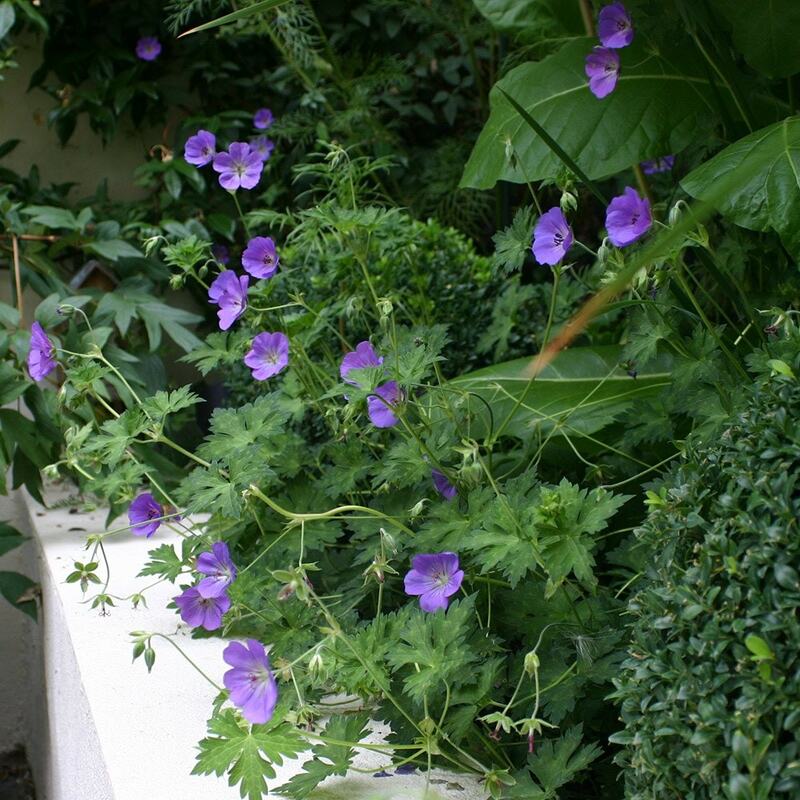 This geranium is not high but, spreads and is ideal in borders at the front. Doesn't need staking and could be used as a ground cover plant. Cranesbills are very pretty useful plants for any garden situation. Incredibly long lasting hardy geranium which kept going until the frost. Lovely colour. Generally geraniums are relatively easy to grow but I found this one a bit fussy so had to move it a few times until it found its happy place! Really worthwhile plant, flowers for ages and ages. Low spreading and loads of flowers make sure hou give it plenty of room and plenty of light. Rozanne isn't a Gold Medal winning plant for nothing - this is the 'best' of the Geraniums in my opinion and the plants I received from Crocus were of good size and good quality and have thrived. Non stop geranium flower power!